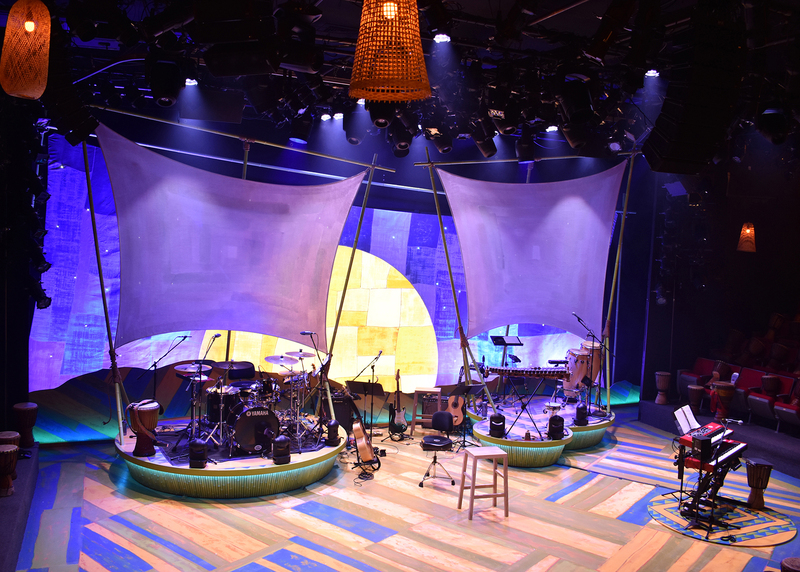 Ravenswood Studio recently completed this impressive scenic artwork and set fabrication of “Djembe! The Show” ­­— for the Apollo Theater Chicago (2540 N Lincoln Ave). 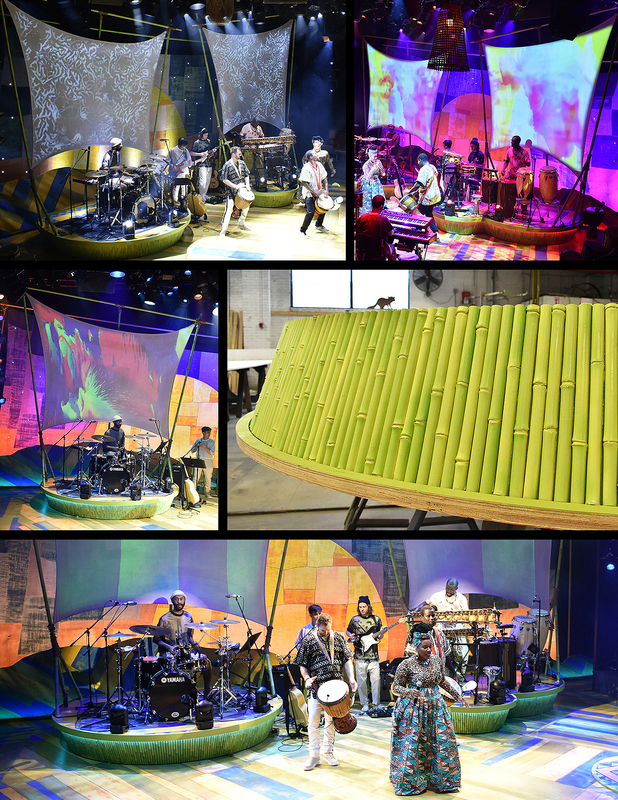 Inspired by the bold and high-energy design of the production, our team detailed and built all the faux finished bamboo rolling set components, one-of-a-kind painted backdrop with LED stars, custom patterned painted floors, and steel-framed projection screens.